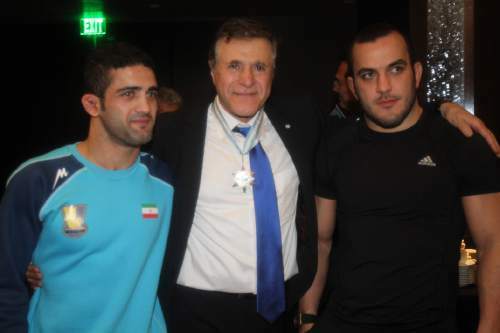 | Courtesy Khosrow Semnani, an Iranian-born businessman and philanthropist, has pledged cash donations to American and Iranian wrestlers and their coaches for winning a medal at the Olympic Games in Rio. 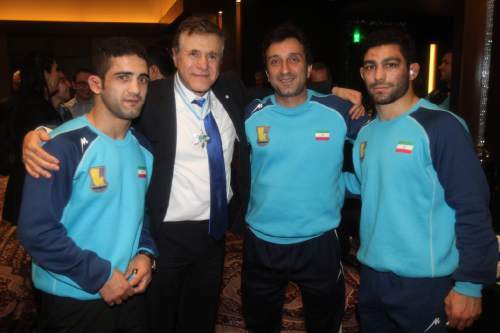 | Courtesy Khosrow Semnani, an Iranian-born businessman and philanthropist, has pledged cash donations to American and Iranian wrestlers and their coaches for winning a medal at the Olympic Games in Rio. 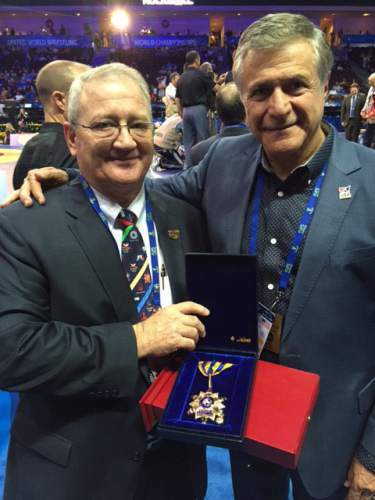 | Courtesy Khosrow Semnani, an Iranian-born businessman and philanthropist, has pledged cash donations to American and Iranian wrestlers and their coaches for winning a medal at the Olympic Games in Rio. | Courtesy Khosrow Semnani, an Iranian-born businessman and philanthropist, has pledged cash donations to American and Iranian wrestlers and their coaches for winning a medal at the Olympic Games in Rio. | Courtesy Khosrow Semnani, an Iranian-born businessman and philanthropist, has pledged cash donations to American and Iranian wrestlers and their coaches for winning a medal at the Olympic Games in Rio. 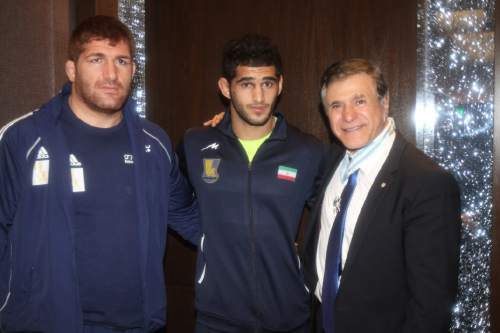 | Courtesy Khosrow Semnani, an Iranian-born businessman and philanthropist, has pledged cash donations to American and Iranian wrestlers and their coaches for winning a medal at the Olympic Games in Rio. | Courtesy Khosrow Semnani, an Iranian-born businessman and philanthropist, has pledged cash donations to American and Iranian wrestlers and their coaches for winning a medal at the Olympic Games in Rio. | Courtesy Khosrow Semnani, an Iranian-born businessman and philanthropist, has pledged cash donations to American and Iranian wrestlers and their coaches for winning a medal at the Olympic Games in Rio. | Courtesy Khosrow Semnani, an Iranian-born businessman and philanthropist, has pledged cash donations to American and Iranian wrestlers and their coaches for winning a medal at the Olympic Games in Rio. | Courtesy Khosrow Semnani, an Iranian-born businessman and philanthropist, has pledged cash donations to American and Iranian wrestlers and their coaches for winning a medal at the Olympic Games in Rio. | Courtesy Khosrow Semnani, an Iranian-born businessman and philanthropist, has pledged cash donations to American and Iranian wrestlers and their coaches for winning a medal at the Olympic Games in Rio. | Courtesy Khosrow Semnani, an Iranian-born businessman and philanthropist, has pledged cash donations to American and Iranian wrestlers and their coaches for winning a medal at the Olympic Games in Rio. 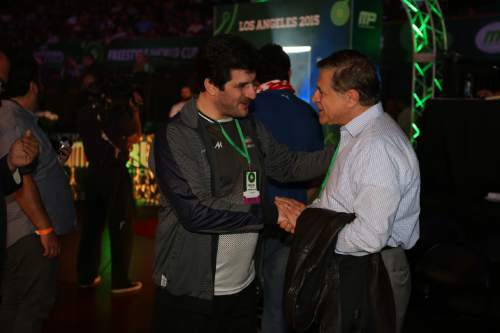 | Courtesy Khosrow Semnani, an Iranian-born businessman and philanthropist, has pledged cash donations to American and Iranian wrestlers and their coaches for winning a medal at the Olympic Games in Rio. 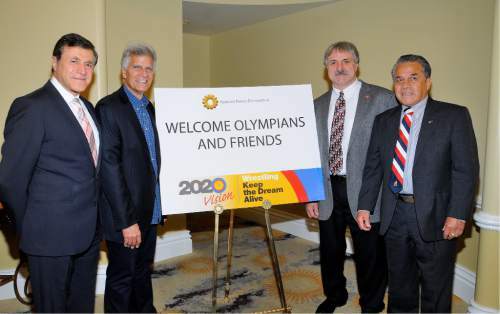 | Courtesy Khosrow Semnani, an Iranian-born businessman and philanthropist, has pledged cash donations to American and Iranian wrestlers and their coaches for winning a medal at the Olympic Games in Rio. | Courtesy Khosrow Semnani, an Iranian-born businessman and philanthropist, has pledged cash donations to American and Iranian wrestlers and their coaches for winning a medal at the Olympic Games in Rio. 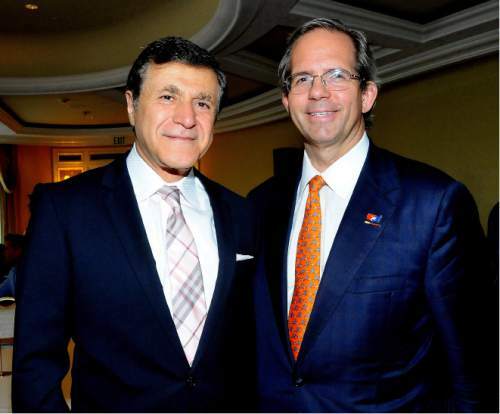 Khosrow Semnani was never a wrestler, but when he discovered his favorite sport&apos;s future at the Olympics was pinned against the mat, the Utah businessman helped turn a dire situation into a victory. Now Semnani is head to Brazil, knowing that wrestling&apos;s future at the Olympics is again secure  and ready to help reward its victors in another way. 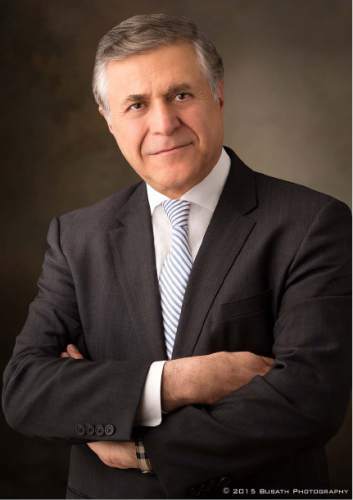 Semnani, an Iranian-born businessman and philanthropist, has pledged cash donations to American and Iranian wrestlers and their coaches for winning a medal. USA Wrestling pays out bonuses of $250,000 for a gold-medal winner, $50,000 for a silver-medal winner and $25,000 for a bronze-medal winner. The Semnani Foundation has pledged to contribute to that fund in the amount of $20,000 for winners of gold, $10,000 for silver and $5,000 for bronze. 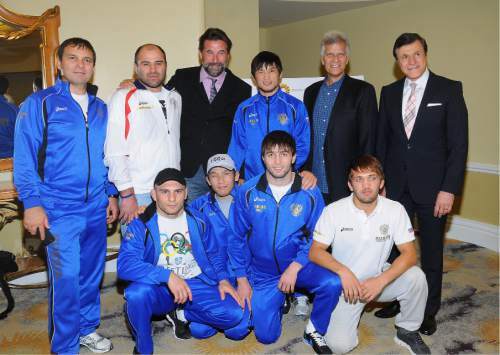 "Wrestling is an essential Olympic sport and tradition," Semnani said. "It&apos;s a competition where excellence and sportsmanship combine in a culture of fair play. … These incentives, I hope, will strengthen not only the sport of wrestling, but the friendship between the citizens of the two countries." 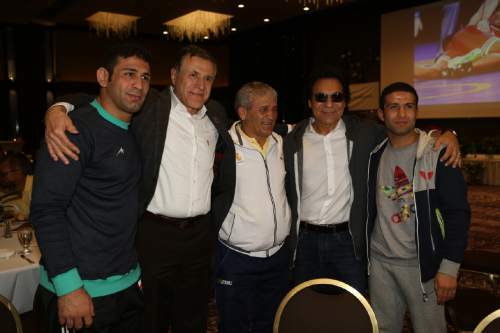 Semnani is also offering up an additional bonus of up to $5,000 for coaches of his countries&apos; wrestling champions. 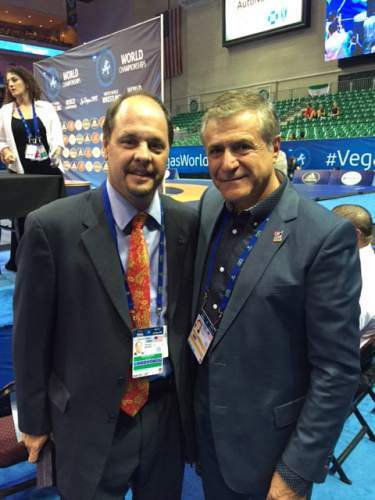 "They have joined with us to give some substantial support," said USA Wrestling communications director Gary Abbott. "We&apos;re really blessed to have them putting time and effort and financial support behind us." 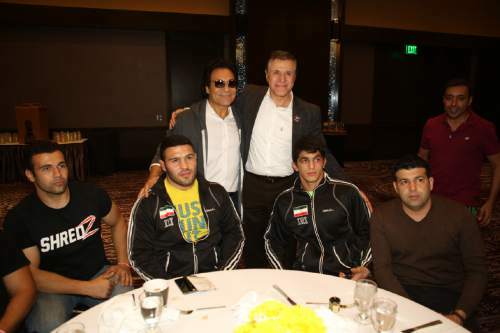 Growing up in Iran, Semnani said, wrestling was a major part of his culture. "Since I was 5 years old, I remember people talking about wrestling," he said. "Not only just as a sport in the Olympics, but in stories and my cultural upbringing, wrestling has always been important." In 2013, when an Olympic committee proposed removing wrestling from the games, Semnani was quick to call USA Wrestling and offer his support. "When I heard they were taking wrestling out of the Olympics, that was very hard for me to swallow," he said. "So we got involved in that process." The Utah man helped organize fundraisers and events to raise awareness about the sport.